Is your business doing all it can to protect itself? 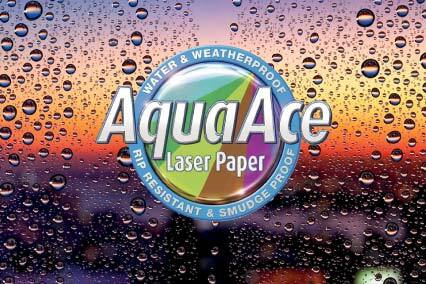 AquaAce is a water, oil, and chemical resistant paper. Create vivid images that are durable and maintain their shape overtime with your Toshiba MFP. Access our Priority Service Portal to enter a service call. Generate genuine ROI with Managed IT, Print and Professional services. Our team of specialists are ready and waiting to assist with your inquiry. Whether you are purchasing your first Toshiba or adding to your existing technology platform, we can assist. Contact us now for an obligation free quote, demonstration, brochure or to simply find out more. Check out Toshiba's new video gallery to watch and learn from our latest case studies, how to guides, commercials and business solutions. For a limited time only, register online to receive a free AquaAce paper sample pack. Hurry sample stocks are limited. Your browser or device does not support video playback capabilities. Please download the video below. Our Document Management specialists will help your organisation perform more efficiently, work smarter, and maximise your technology investment. See how we can also help you with document capture solutions, cloud mobility and document tracking.